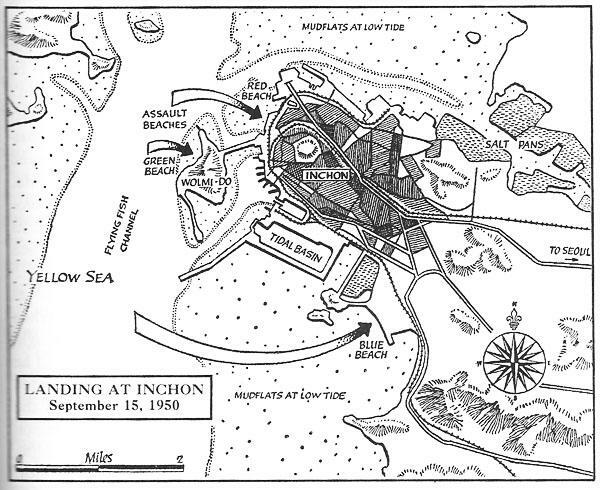 The next two episodes deal with the Inchon landings. Here is a map of those landing. Please note that the coastline today is much changed from 1950 due to reclaiming of land from the sea.